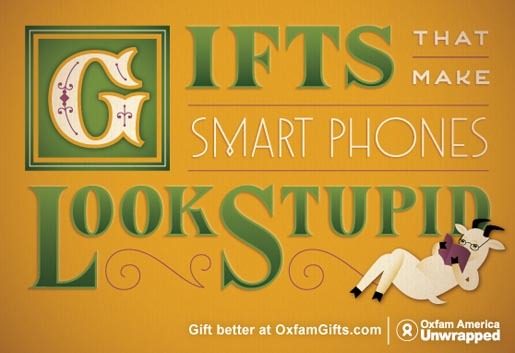 Oxfam is running “Gift Better”, a campaign encouraging people spurn trendy gift-giving in favor of charitable gifts from Oxfam America’s Unwrapped catalog at Oxfamgifts.com. 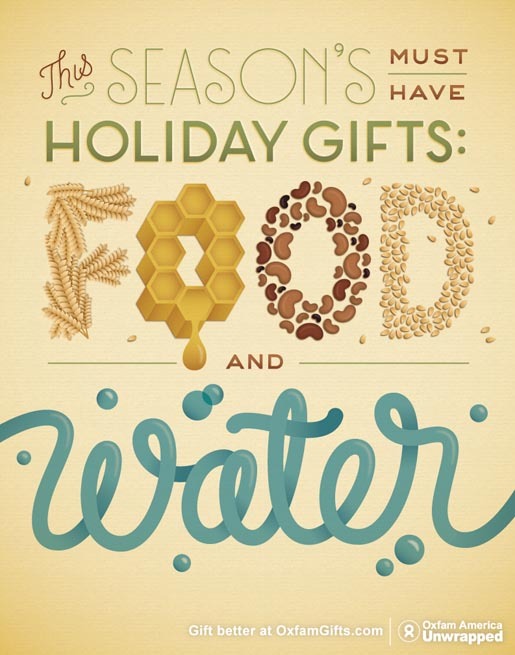 The campaign includes an animated television spot using illustrations and the dulcet tones of Scarlett Johansson, asking viewers to buy useful gifts like toilets or fruit trees to help people in need. The campaign’s illustrations, by Jessica Hische, are also featured in out of home, print and digital components on on Facebook and Twitter. 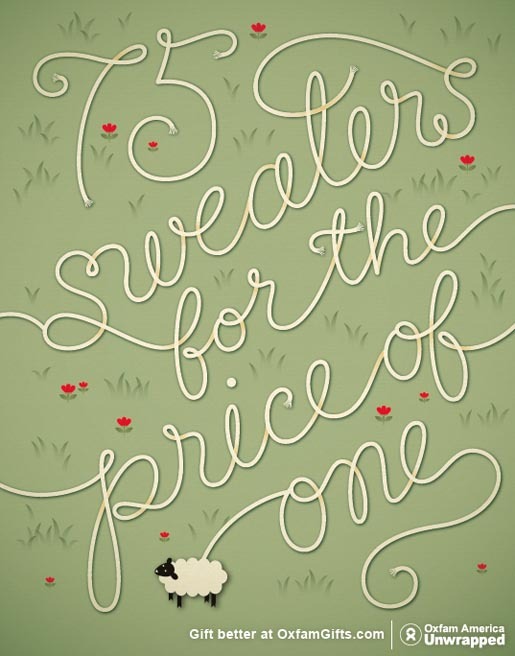 The Gift Better campaign was developed at Energy BBDO by chief creative officer Dan Fietsam, creative directors Kevin Lynch, Diana Morrison, art director Francis Almeda, copywriters Kelly Hardwick, Chris Yocum, planners Leah Gritton, Valerie Cohen, business manager Cindy Mayer and account manager Lisa Roebke, print producer Heather Beck, digital producer/project manager Catherine Hughes, video producer Meagen Moore, head of production Rowley Samuel, developers Andy Hullinger and Andy Rench. Animation was produced at LAIKA/House by director Gesine Krätzner, executive producer Lourri Hammack, producer Andrew Harvey, editor Steve Miller, animation creative director Kirk Kelly, animator Chris Purdin, assistant animator Eric Kilkenny, and compositor Erich Richter. Sound was designed at Whizbang by producer Dustin Camilleri and sound engineer Zach Goheen. Music was produced at Black Iris by producer Amy Crilly.